Colourful silk kantha scarf from Bangladesh. Versatile silk scarf from Bangladesh. 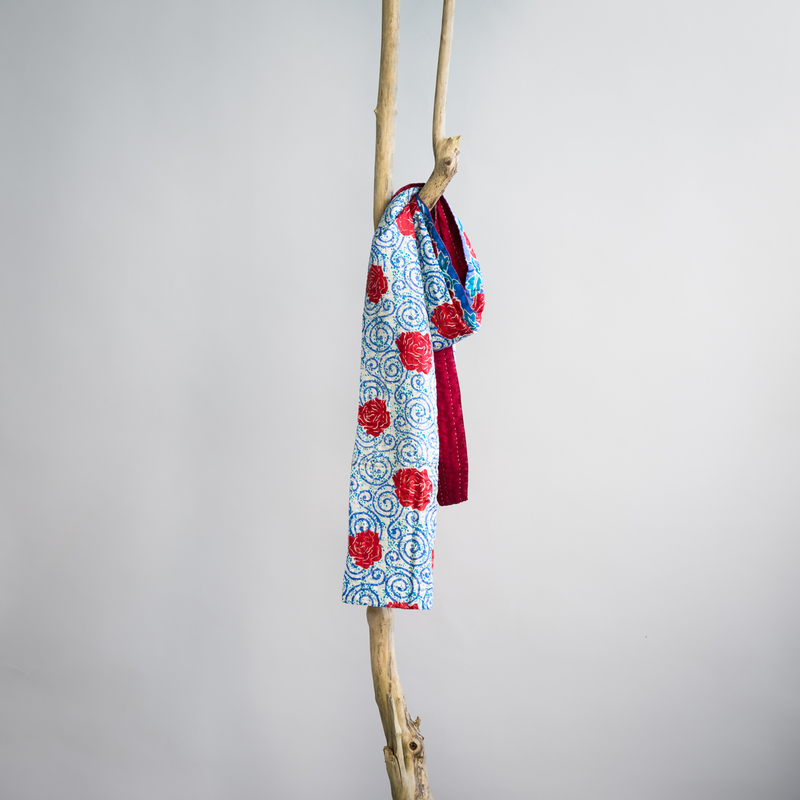 Made in the typical kantha style this piece was created by women from Basha, a local Fairtrade organisation. 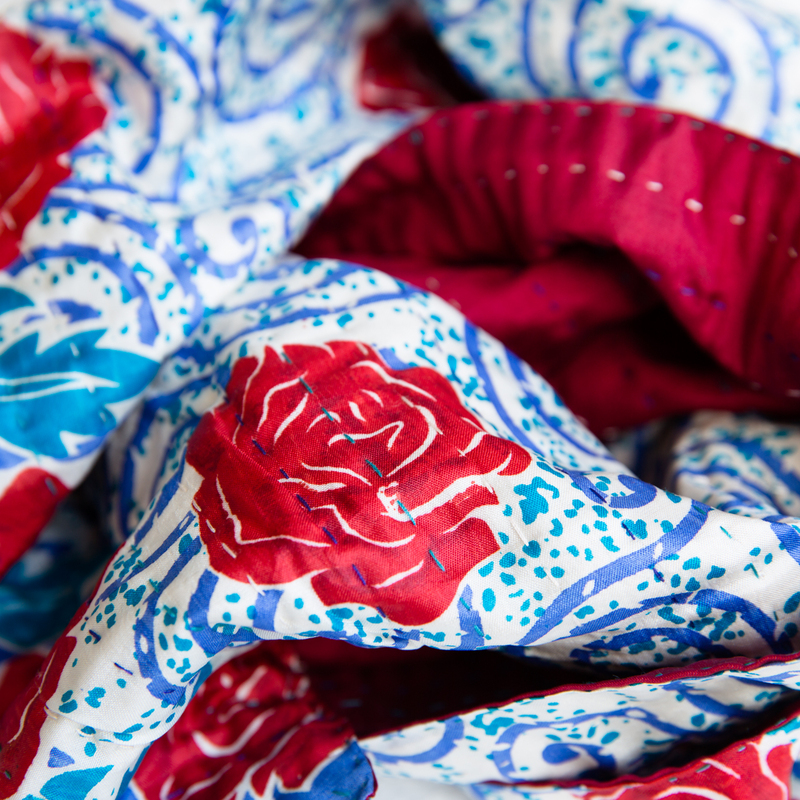 The scarf is part of a series of eight pieces made from two different saris. Each piece is slightly different than the others. Basha is a young Fairtrade organisation in Dhaka and Mymensing, Bangladesh. Its aim is to support underprivileged women in finding dignified employment. Basha's vision is to continue to grow as long as there are women in the country in need of a proper job. At present around fifty women are employed with Basha.